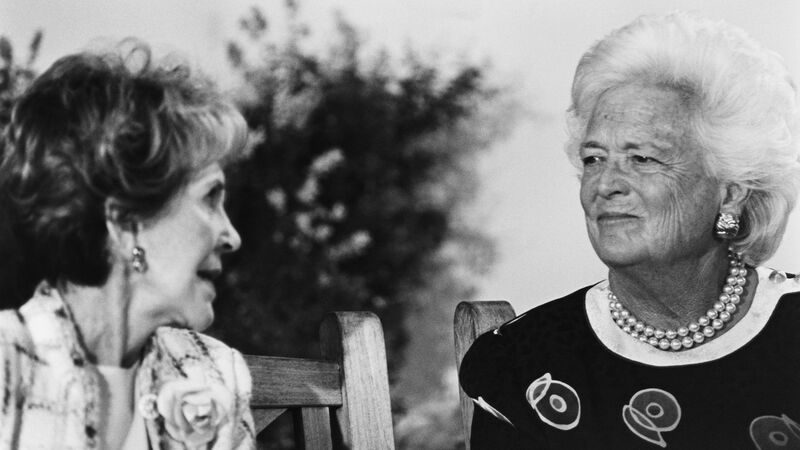 The chill between First Ladies Nancy Reagan and Barbara Bush was no secret, but USA Today's D.C. bureau chief Susan Page found fascinating new evidence for a biography, "The Matriarch: Barbara Bush and the Making of an American Dynasty," out April 2 from Twelve. Driving the news: The draft guest list for one of the biggest social events of the Reagan presidency — the White House dinner during a 1985 royal visit by Prince Charles and Lady Diana — shows that Nancy Reagan personally struck Vice President George H.W. Bush and his wife from the guest list. Go deeper: Preorder Page's book.